Guest Post: ABC & Yurts? 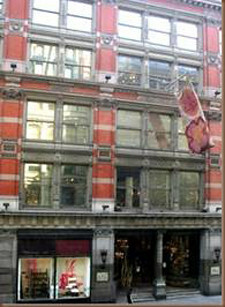 is ABC Carpet & Home in Manhattan. Its 4 hours from VA and totally worth the drive to spend a few hours on every floor in this place. Or stay home and spend a few hours online at abchome . There’s even a button for a wish list! I do this quite often when I’m bored at work… (sorry boss). That’s where I found this gorgeous sofa! I LOVE COVET this Kilim Landscape Sofa! 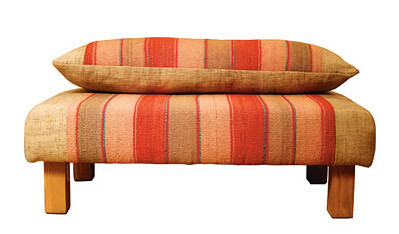 ’ll take 2 of these dreamy Kilim Landscape Ottoman’s!! Everything will look great with my 6 foot coffee table. A nice little Ottoman living room & sometimes casual dinner party room. Let’s just pretend that it doesn’t cost $3 zillion. Sometimes we want what we can’t have. That’s what the ‘wish list’ button is for. Right? One more thing…. 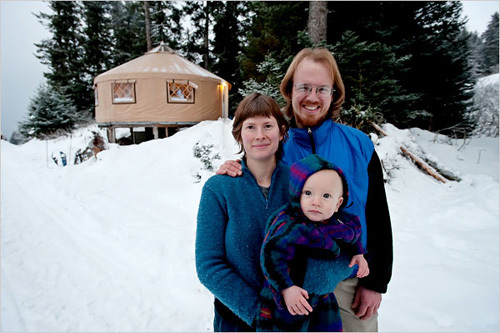 Remember the Yurt Family Higman-McKittrick? 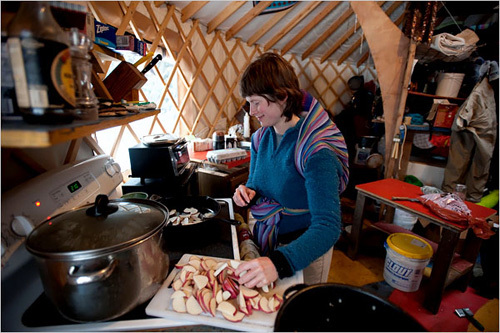 They live in a yurt in the Alaskan wilderness 90 miles from civilization? And cook their meals on their one & only modern cooking appliance? 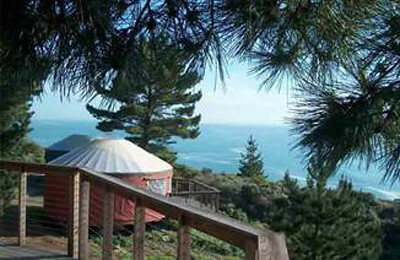 Well, there is a resort in Big Sur, CA called Treebones Resort where you can stay in a LUXURY yurt with Ocean View or Partial Ocean View. Take a look. Nice and clean! (Although if it were mine I could totally see my Kilim Landscape Sofa & Ottomans in there, a couple beautiful Moroccan lanterns…absolutely NOT a rope rug) There are no facilities in the yurt, but there are just a few feet away. I can stay here! And with a Cordon Bleu Chef…Chris…who just happens to be 6’ 5”, cookin’ dinner in the resort’s restaurant? 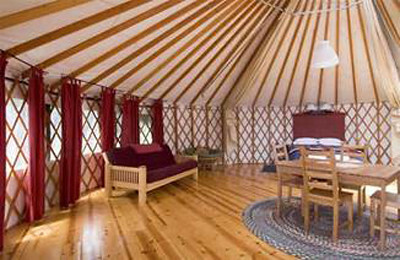 Home Sweet Yurt! Learn more about Treebones Resort here. Looks like fun! Thank you Erin & Karly for taking the day off & letting me post my wandering thoughts on your FABULOUS blog! And thank you for writing a fabulous blog that we all can read everyday! YOU ROCK! !